Tame your climbers into an elegant and impressive display. 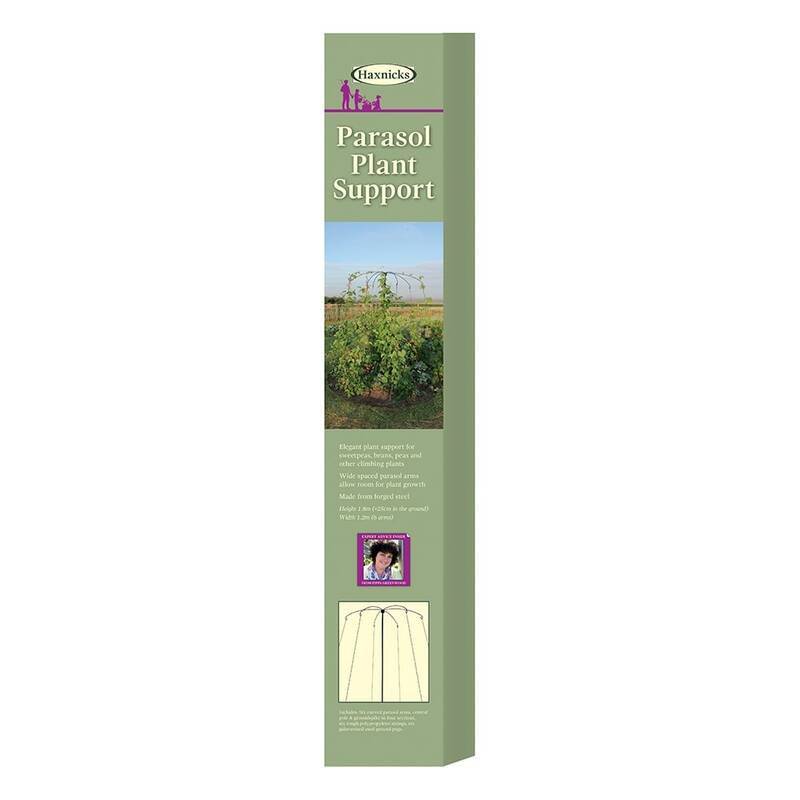 The Parasol Plant Support is an easy and stylish way to give support to sweet peas, beans, and other climbing plants. Height 1.8m(5ft10") Top Diameter 1.2m (3ft11") Base Diameter 2m (6ft6") . 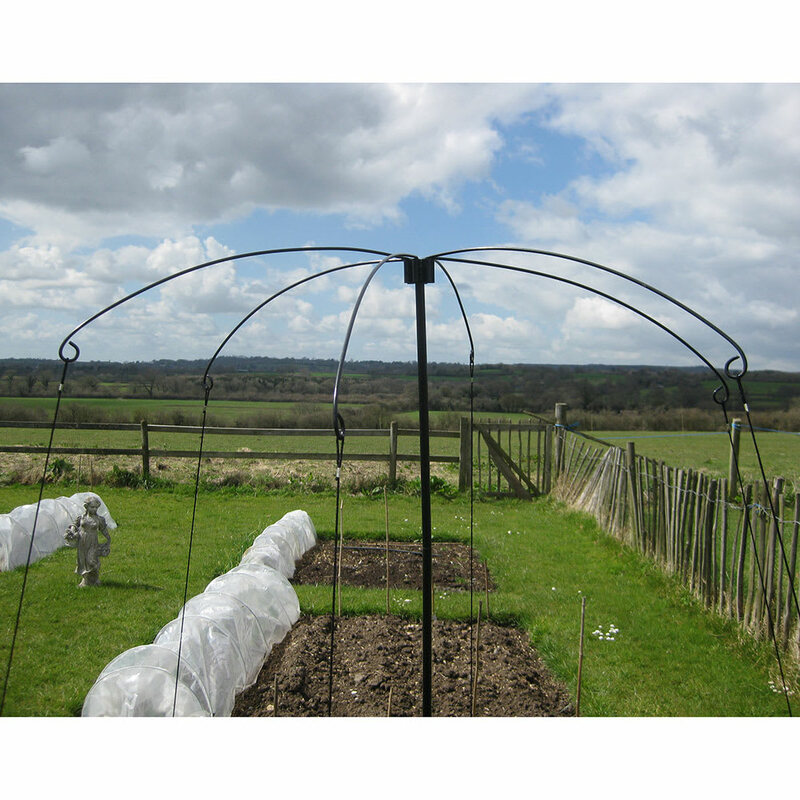 Pack includes 6 curved parasol arms; a central pole and ground spike in 4 sections, 6 tough polypropylene strings and 6 galvanised steel ground pegs. 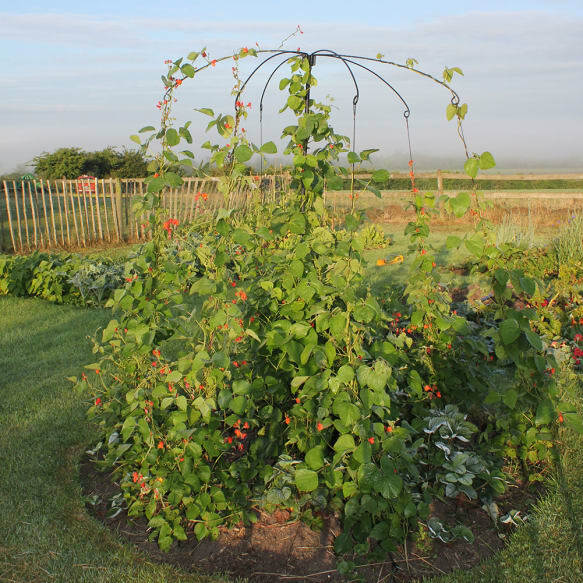 The wide spaced parasol arms are designed to allow room for plant growth whilst supporting climbers in a circular display. Helpful Haxnicks hint: when harvesting climbing beans, remember that the more you pick the more they grow!